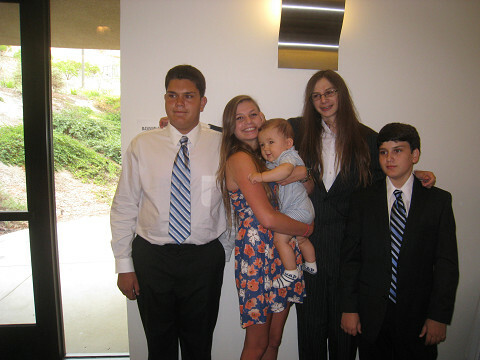 Let's have a great time in California! Narita Airport is certainly not the best airport in the world but for my son, he looks like he's ready for action. 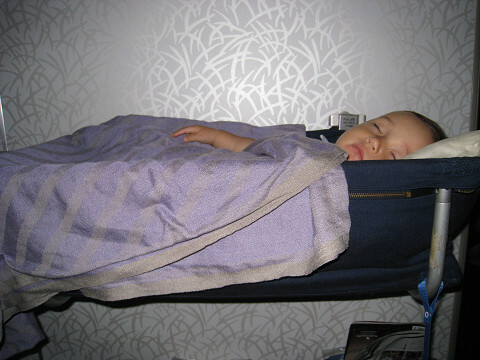 Leo slept in a basonet on the plane but it was not easy getting him to sleep. It was my first time to travel with children so whenever you see parents traveling with kids, give them sympathy. 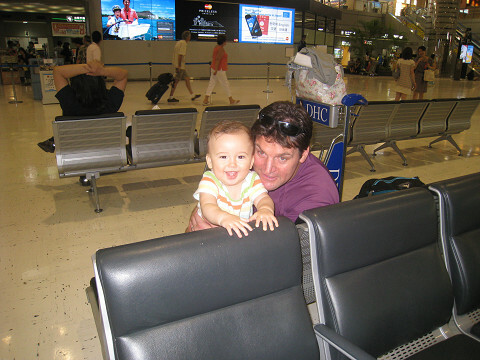 It's nice to have passengers around who smile at your child and keep him occupied. I used to wonder why parents were flying with small children but I realized there is often no choice. 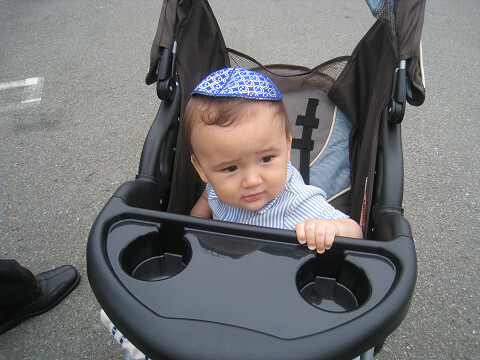 On this trip, we attended my nephew's (Ben) Bah Mitzvah so Leo is wearing the traditional cap.He and I enjoyed it!